The City of Roses is one of the best places to find accessible scenery for engagement photography. Portland, Oregon is home to many beautiful public gardens, breathtaking parks, and preserved historical sites. Its nickname is well deserved. The International Rose Test Garden is a cultivation center for over 10,000 rose species. 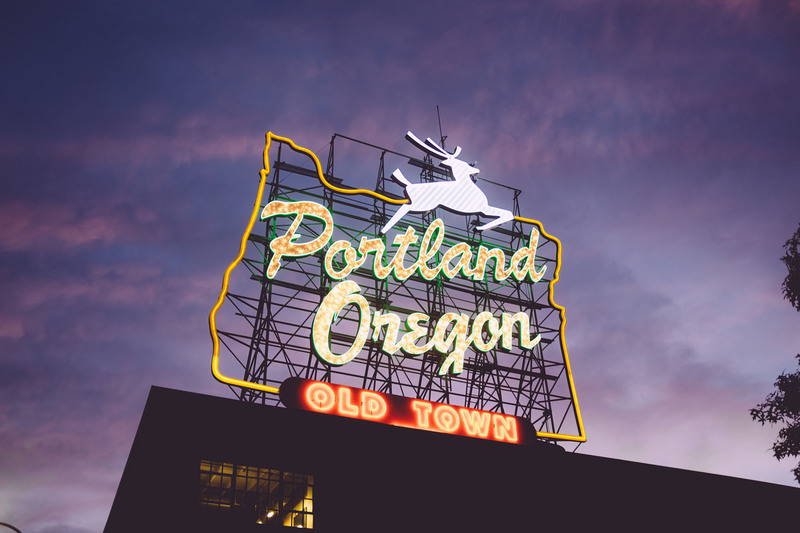 It is a major tourist attraction in Portland, so it could be challenging to find privacy for principal photography. It is possible to set up a backdrop in a previously scouted location when it opens in the morning. The park itself is large enough to find a great spot away from the crowds. There's a rarely used amphitheater and the Queens Walk brick way that would be perfect for engagement photography. Engagement photography in Portland, Oregon has another twist. The city is host to a great oriental garden artwork. The Chinese city of Suzhou is the official sister city of Portland. In 1999 Chinese artisans built the Garden of Awakening Orchids, an authentic imperial Chinese garden landscape. The Classical Lan Su garden follows the tradition of yin and yang harmony. Water and stone, shadow and light, inside and outside, are balanced to manifest this way of nature. This balance would also look great as a background for engagement photography. A blessing to the faithful in The Grotto. The National Sanctuary of our Sorrowful Mother is a religious shrine in Madison South district. It has multiple religious statues, a monastery, and a botanical garden. The lower garden admission is free. The upper-level gardens are open to the public for a minimal fee. The centerpiece of the Grotto is a statue of Mary holding Jesus crucified body. It is a life-size replica of Michaelangelo's Pieta. The statue is positioned tastefully in a carved rock cave at the base of a cliff. This is a great location for religious couples. Its official website informs potential visitors which plants and flowers are in bloom during any particular month. This will give the photographer an idea on which area to prioritize while location scouting. The Pittock Mansion is a 46-room estate designed with Victorian and French Renaissance architecture. 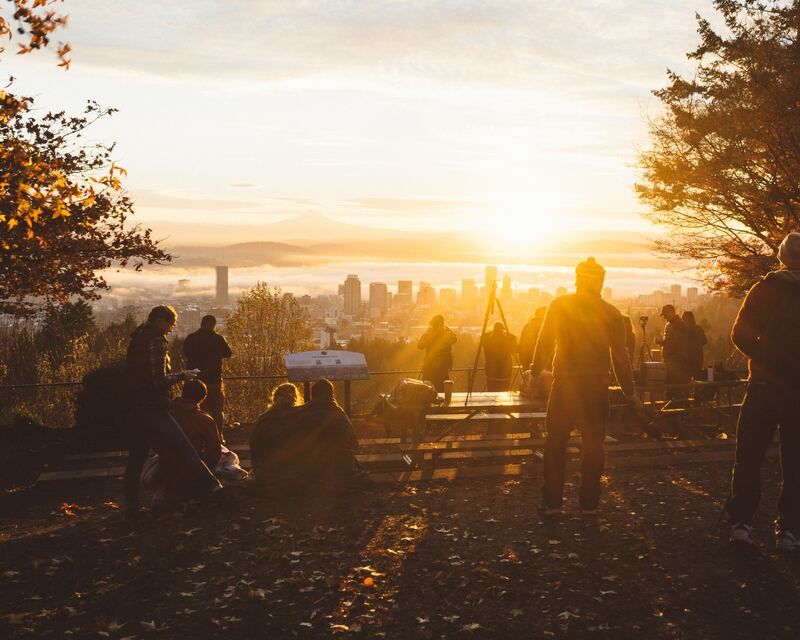 It's situated on top of a hill with panoramic views of downtown Portland. There are ornate balconies, an Edwardian dining room, magnificent verandahs, and Victorian staircases. There is a tour every hour that could help with the location scouting. It is possible to coordinate with the local management for a bit of privacy during subject shooting. The Williamette Valley contains 19,000 acres and 500 wineries. A large number of those wineries are open to the public. There are tourist tours available that would provide quick access for location scouting. This location offers a great panoramic view of the valley and its expansive vineyards. Privacy will not be a problem for this venue. Engagement Photography in Portland, Oregon cannot be more rewarding. There are plenty of places including others not mentioned here. The city is home to wonderful scenic locations that would ensure the newly-weds enjoy the immortalization of their wedding photographs.